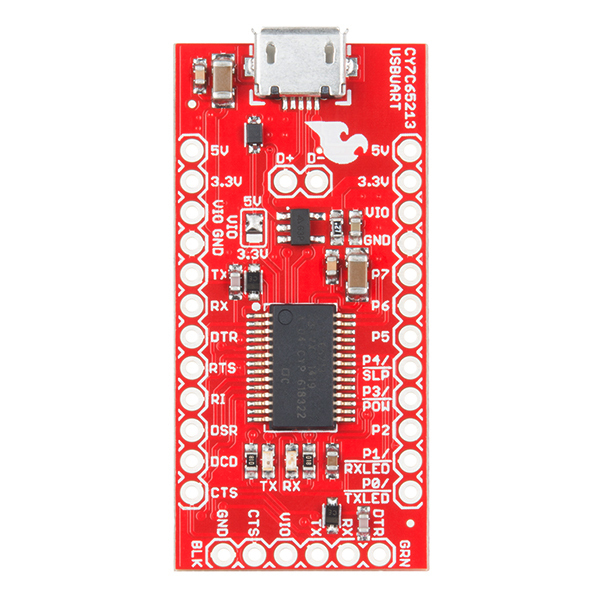 The CY7C65213 USB to UART serial breakout is designed to provide users with a means to access all available I/O pins on the IC, and to provide a 6-pin UART header that is compatible with other SparkFun breakout boards. This breakout has a microUSB connector and other support circuitry to get the IC quickly up and running. 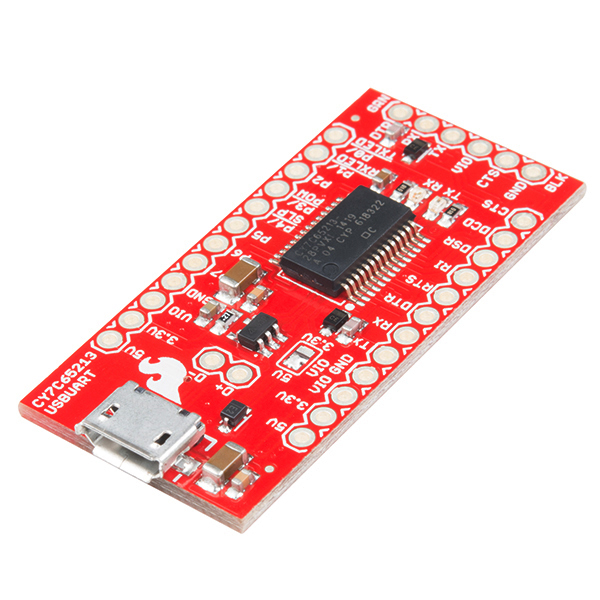 How to use SparkFun's advanced USB UART breakout, based on the Cypress CY7C65213. In this tutorial, learn how to send data to TCP server using a SIM900 module. Unfortunately there is just not enough room on this board to put a switch on the PCB. You can however clear the jumper, and wire your own switch to the 5V, 3.3V and VIO pads beside it. That would allow you to easily change voltage from 5 volt to 3.3 volt with just the flick of a switch. I notice the datasheet says the default baud rate is 115200. 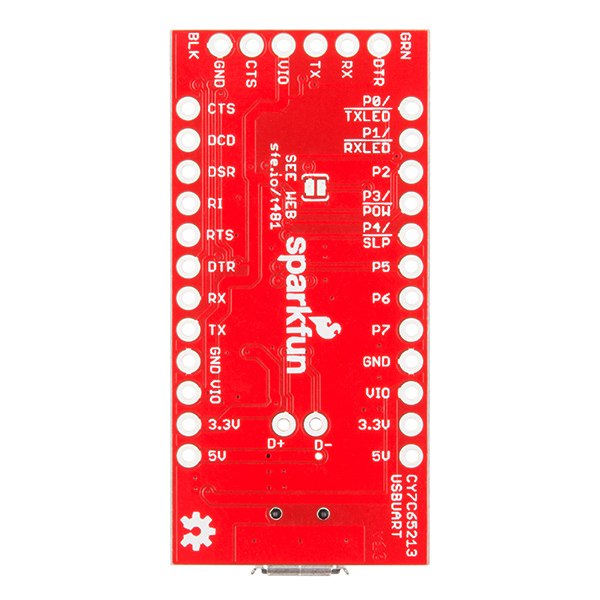 I think the FTDI stuff from sparkfun at least (e.g. DEV-09716) is stuck at 57600 (at least that's the rate the works for me with avrdude). So hopefully you could get twice the upload speed when using non-rev3 Arduinos (e.g. sparkfun Arduino pro, pro mini, etc.). Sparkfun can you confirm this? Together with the avrdude -V option to disable verification edit/compile/debug of large sketches becomes much less painful. The data rate of uploading is actually set by the bootloader programmed into the chip, so the Pro/Pro Mini will always be limited to 57600, regardless of the serial bridge you use. Sadly, it's unlikely that we'll change the Pro/Pro Mini bootloader anytime soon, as that would render the IDE incorrect and unable to upload. Not being from FTDI is a sufficient selling point in some situations. The FTDI chips are popular for non-serial-port applications, some of which require (under Linux, anyway) unloading the ftdi_sio driver and thus rendering regular serial dongles inoperative for the duration. In such a case, having a couple of Brand-X serial dongles around, using a different driver, is very helpful. Agreed, FTDI has a pretty bad name in the tech community these days. I recently was looking on Sparkfun for a non-FTDI option to evaluate for a project, but there wasn't anything, so this is good to see. I ended up using this: http://prolificusa.com/portfolio/pl2303sa-usb-serial-bridge-controller/ as an awesome little 8-pin chip just for RX/TX. 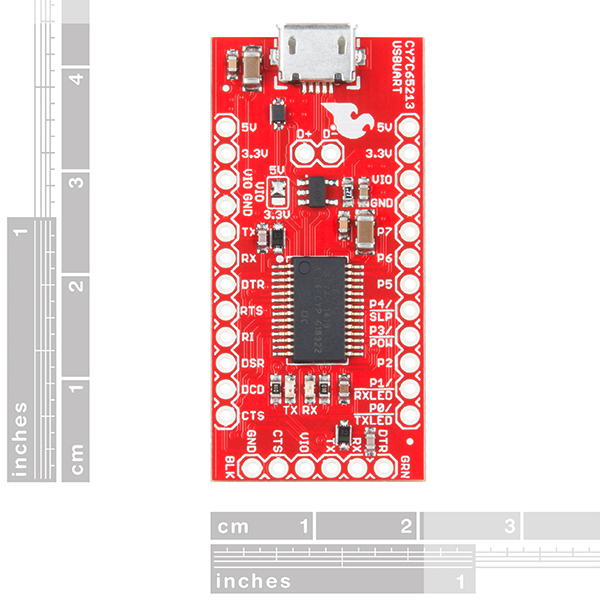 @Sparkfun: the PL2303SA with a tiny breakout could be a nice minimal non-FTDI option, too, and it can also go all the way down to 1.8V. To be specific about why they have a bad name, FTDI released windows drivers that deliberately bricked FTDI clones. In other words they deliberately destroyed the hardware of users that likely had no idea they were even using a clone. I've been eager to ditch them for good ever since I learned this. The ability to operate all the way down to 1.8V? That's the most significant difference.